This week on ebay one of the comic books I'm selling is Secret Hearts #83, a 1962 DC Comics romance book with artwork by John Romita and Mike Sekowsky and Tony Abruzzo. Of course Mr. Romita is known for his legendary run on The Amazing Spider-Man and Mr. Sekowsky was the inaugural artist on The Justice League of America, and Mr. Abruzzo was a mainstay for the romance comics. As excellent as the work of those artists is, comics with their artwork do not automatically command high prices. So I was startled when the bids for my copy of Secret Hearts 83 were far higher on the first day of the listing than I ever expected the auction to end at on its fifth day. Time for a little research, I said to myself. My friend google gave up the answer readily. 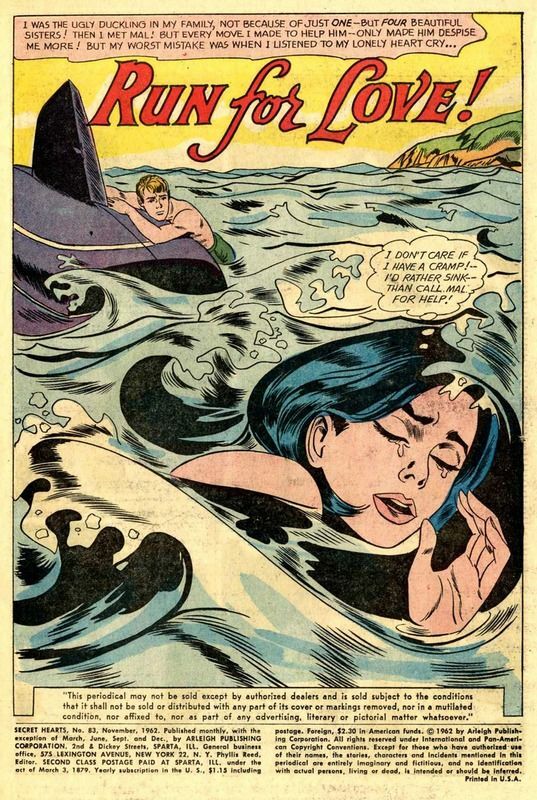 It turns out that this particular issue is especially collectible because the Tony Abruzzo splash page artwork to "Run for Love" was appropriated by artist Roy Lichtenstein for his 1963 museum piece that he titled "Drowning Girl." Of course I'm being polite by writing appropriated instead of stolen. 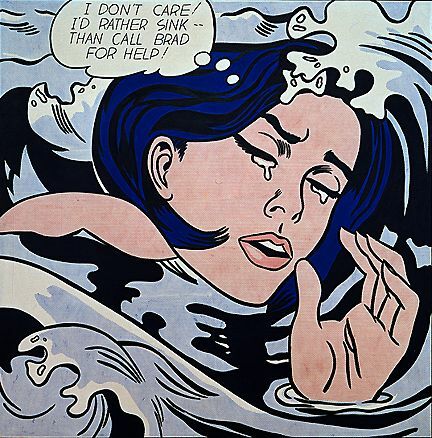 I have dubbed Mr. Lichtenstein The Most Hated Artist Ever for his 'appropriations' from hard-working comic book artists but, if you're reading this the week that I'm writing it you yourself can place a bid for my Secret Hearts #83 with off-white pages right over here.